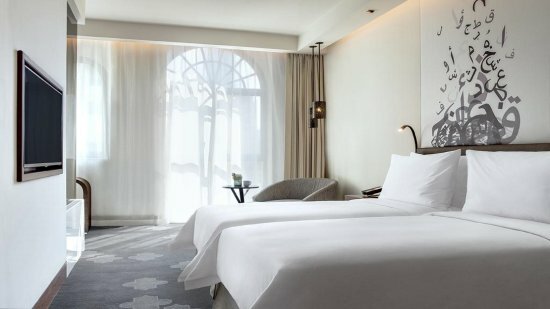 Located in a spectacular spot opposite the glittering Burj Khalifa, is the fabulous Manzil Downtown Hotel. Chic rooms and opulent Arabian décor welcome guests to this stunning establishment with an irresistible open-air swimming pool. There are restaurants onsite which offer a varied selection of mouth-watering cuisine and the renowned Dubai Mall is only a stone’s throw away for travellers wanting to get a taste of world class shopping. 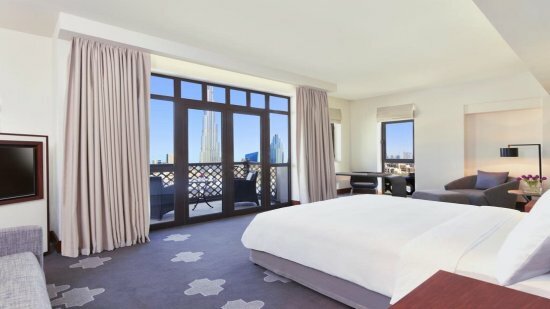 For those seeking a luxurious hotel and want to see the most impressive attractions Dubai has to offer, look no further! The stunning Jumeirah beach within a short drive from the hotel. 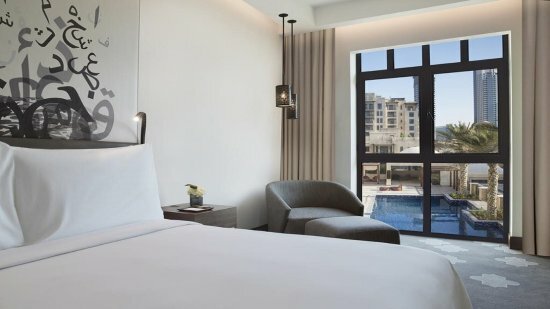 The Manzil Downtown Hotel is located close to the centre of Dubai, within close proximity to several shops, bars and restaurants aswell as Dubai Mall. 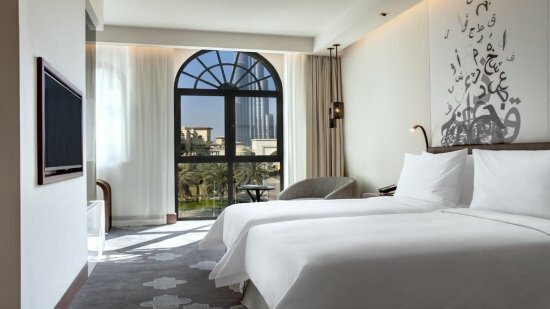 The Manzil Downtown Hotel is approximately 14km away from Dubai International Airport. The Manzil Downtown hosts a ladies’ night every Tuesday at the Nezesaussi Grill, where female guests can enjoy 3 complimentary drinks when a main meal is purchased. Guests staying at Manzil Downtown Hotel can enjoy Bed and Breakfast, Half Board and Full Board basis options.